Three protesters have been killed in front of the US embassy in the Sudanese capital of Khartoum after being run over by police vehicles, according to Al Jazeera. More than 5,000 demonstrators have gathered in front of the embassy, setting fires on a square nearby. Many of the demonstrators were bussed to the location from the UK and German embassies, according to Reuters. 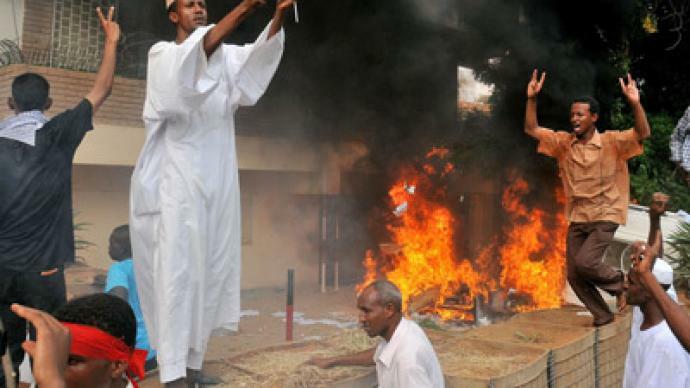 US Military officials said on Friday that the US would be sending Marines to Sudan to defend its facilities there. A spokesperson for the US embassy says all protesters were expelled from inside the compound. Local witnesses reported on Twitter that a mob of an estimated ten to 15 thousand people were torching the building. Gunfire was heard outside the building, according to a reporter for Reuters. Many say the attack shouldn't have come as a surprise to Washington. “Arab nations have been building up a strong sentiment against the US for some time, viewing it as an anti-Islamic country – particularly because of the wars it fights inside Islamic nations,” investigative journalist Gareth Porter told RT. "This should be a wake-up call – a red light flashing – for the national security elite in the US. They need to take a deep breath and have a rethink about the broad policy they’ve been following with regards to national security," Porter said. It comes after police fired tear gas on demonstrators after they stormed the German embassy, pulling down its emblem and raising an Islamic flag in its place. 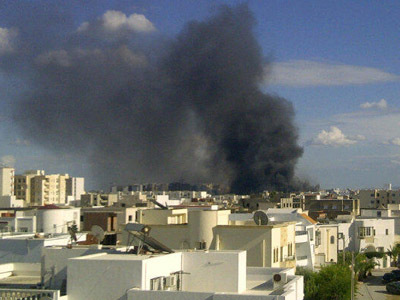 The German Foreign Minister has confirmed the attack, and says the building was set on fire. "Germany is not yet up to facing this kind of attack. Similar attacks usually hurt US, British or French embassies, because of their involvement in recent NATO adventures, but Germany is new to the club – so that means our embassy security system is not yet up to our foreign policy," Christoph Horstel, who heads a government and business consulting firm, told RT. Protesters also set nearby cars and trash cans on fire as police fired tear gas, according to AP. 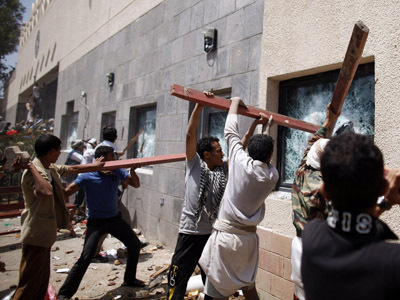 Demonstrators smashed windows of the building and started a fire in front of the main gate, a witness told Reuters. 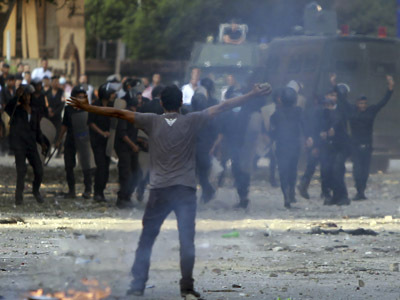 The German Foreign Minister says the embassy was vacated before the protest began, and that all employees are safe. The British Foreign Office has confirmed ongoing demonstrations outside the UK embassy in Khartoum. Sudanese police are currently at the scene.